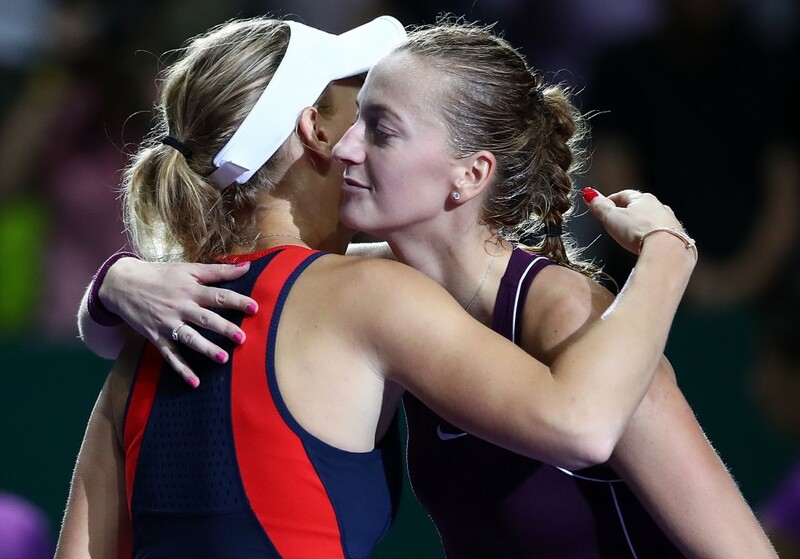 Victories for Sloane Stephens and Angelique Kerber at the WTA Finals on Wednesday means it’s still all to play for in the Red Group when the last round robin matches are played on Friday. Wimbledon champion Kerber bounced back from her opening defeat to Kiki Bertens by overcoming Naomi Osaka 6-4, 5-7, 6-4, to boost her semi-finals qualification chances. Later in the evening, Stephens squeezed past Bertens 7-6(4), 2-6, 6-3 to record her second win in as many matches this week in Singapore but the American hasn’t secured passage to the semis just yet. A victory over Kerber for Stephens on Friday would ensure she advances as top of her group, but a loss wouldn’t discard her chances either. US Open champion Osaka fell to 0-2 on her WTA Finals debut and appears to be suffering from a left hamstring problem. The third-seeded Japanese would not elaborate on the issue though, and still has a small chance of making it to the final four, but she’ll need to defeat Bertens on Friday and other results to fall in her favour. “It’s nothing like that concerning, I think. Plus it’s like the last tournament of the year, so of course I’m going to, like, play my matches. Yeah, like, I don’t want to tell you something hurts. But it doesn’t feel good. So I’m just going to say that,” said a reluctant Osaka after her 2hr 29min defeat. The 21-year-old admits she has struggled with her timing on the ball this week in the Lion City and lamented her low first-serve percentage – 50 per cent in Wednesday’s match, 53.3 per cent for the tournament, which is the lowest among the field. Everyone’s favourite words: Percentage of games. Meanwhile, Stephens showcased some gritty tennis to get the better of Bertens, in what was a record-equalling sixth three-setter of this year’s WTA Finals. The mark ties the 2009 edition for the most three-set matches at the WTA Finals (since the round robin format returned in 2003). Earlier in the day, WTA founder and tennis legend Billie Jean King heaped praise on Stephens, particularly her athleticism, but questioned the American’s hunger and continuous commitment. “She’s very interesting, because she’s hit and miss and she’s erratic, but when she’s on, amazing. I think she’s one of the best athletes we have ever had in the sport. She’s like a gazelle around the court,” said King of the fifth-seeded Stephens. “She can hit anything. Especially off the forehand she can hit so hard. She makes it feel effortless the way she plays, in a way. But if you really kind of analyse each thing separately, like I do when I watch, she’s simply, potential-wise, the sky’s the limit with her. Judging from her two victories so far this week, it’s fair to say Stephens is all in. She fought off Dutch No. 8 seed Bertens in a 2hr 20min battle and has more chances than anyone else in her group to make it to Saturday’s semis. “In the beginning of the third [set] she raised her level again. I think it was really close. It was just a few points, but, yeah, she was staying in there tough. Physically she was really well. So it was tough there today,” said Bertens of Stephens. 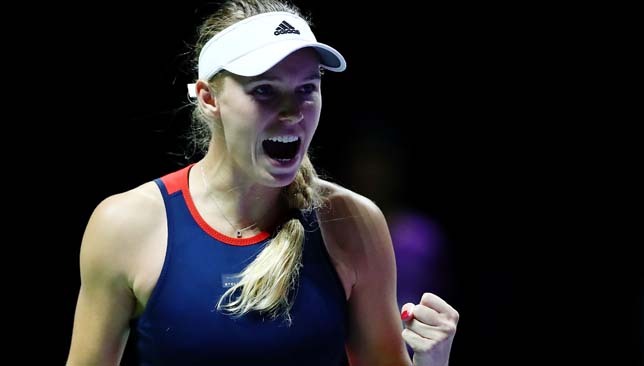 The White Group is also still undecided entering Thursday’s last round robin matches as defending champion Caroline Wozniacki takes on Elina Svitolina and Petra Kvitova faces fellow Czech Karolina Pliskova.